Small business owners and entrepreneurs are reaping the benefits of the Jump Start Our Businesses Startup Up Act – JOBS Act, signed into law in 2012, which paved the way for equity and debt-based crowdfunding. What is crowdfunding and how can you prepare for it? Learn more about the “how to’s” of crowdfunding (below) and how your business can benefit from this financing strategy. Crowdfunding Basics: Many small business owners and entrepreneurs have successfully raised capital through rewards-based and gift-based crowdfunding. Changes via the JOBS Act now allow entrepreneurs to raise investment capital online on SEC-regulated platforms. Entrepreneurs can broadly market and advertise their offerings. The SEC first allowed accredited investors to participate in online offerings, and on May 16, 2016 Title III crowdfunding took effect, which means ordinary people can now invest in startups and businesses. Read about these changes, including advice and general guidance by clicking here. Title III allows all people to invest in startups or small businesses, again with strict government guidelines. Our partners at Crowdfund Capital Advisors (below) provide helpful information about Title III crowdfunding on their website including compliance with SEC rules and important information startups, small business owners, and investors need to know. Crowdfund Capital Advisors was founded by “the three guys” who led the charge to make equity and debt-based crowdfunding. The website has great information – free tips and educational material, as well as resources for purchase. Sherwood Neiss, Jason Best and Zak Cassady-Dorion (members of SBE Council) are successful entrepreneurs, and help entrepreneurs around the world tap into the power and promise of crowdfunding. They wrote the book Crowdfund Investing for Dummies. Platform leader Crowdfunder provides great resources for entrepreneurs and small businesses. 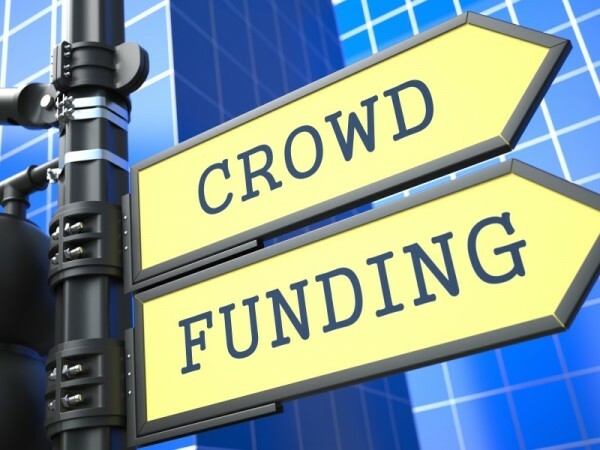 The site answers some of the common questions about crowdfunding. What is equity or investment crowdfunding? What is the difference between investment crowdfunding and rewards-based crowdfunding? What does investment crowfunding cost? Crowdfunder also provides a Guide to Equity Crowdfunding, and has additional resources and tips on closing, marketing, media, terms sheets and more. Learn about raising funds “for anything” from Indiegogo, including tips on what to do before launching your campaign, how to manage your campaign, and what to do after your campaign ends. The site also includes best practices for nonprofits and specialized tips for tech and film projects. An 8-point lesson plan and resource tools from Kickstarter for implementing a successful crowdfunding campaign. On January 28, GIST Connect and the U.S. State Department hosted this informative and lively webcast on crowdfunding. The webcast can be viewed by clicking here. The webcast featured SBE Council President & CEO Karen Kerrigan and top crowdfunding experts. It was viewed by thousands across the globe, and includes content relevant to entrepreneurs who do business anywhere. Great tips, trends and information on how to crowdfund! This SBE Council Q&A feature explains crowdfund investing and helps business owners understand the mindset of investors. Important “how to” and readiness tips are provided. This complementary resource is offered by Early Shares, a crowdfunding platform designed to help investors and business owners take full advantage of crowdfunding. Topics covered include: What is Crowdfunding? The Offering Process. Accounting for Businesses. Investing and the Investing Process. A Glossary of Terms. Videos and and an Experts Lounge. CrowdCheckis a service that offers a weapon against potential fraud and helps investors make good investment decisions, has a dedicated area of its website for investors and issuers. The site offers educational articles, explanation of terms, and useful reports and advice.